Bryna’s husband had severe Parkinson’s disease. He was unable to do anything for himself. After years of struggling with this debilitating disease he passed away. Bryna keeps herself out of the gloom with a completely different outfit every single day of the year, every day of her life. Never the same twice. This is a book of photographs barely scratching the surface of Bryna’s fashion creativity. 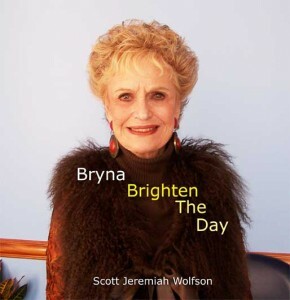 Bryna Brighten The Day was made to enliven, inspire, educate and entertain.